This is Glossy Swiftlet Collocalia esculenta in the Kennedy guide. 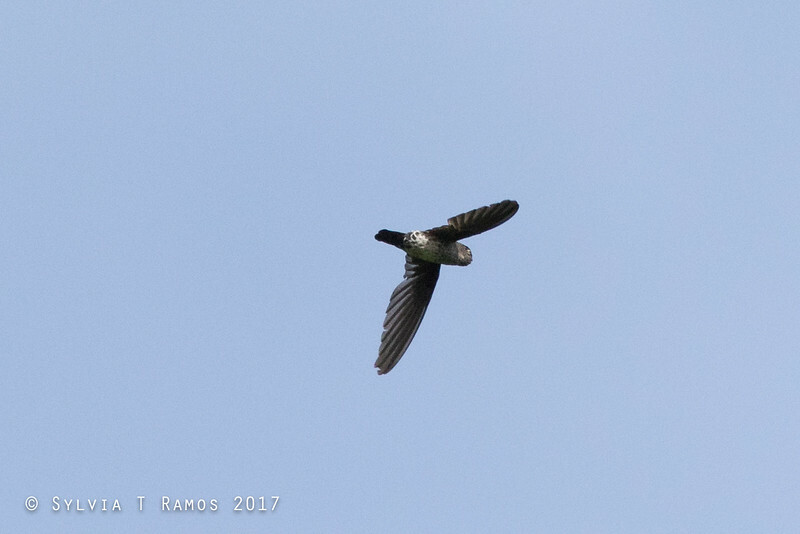 It was split into Grey-rumped Swiftlet (also written as Gray-rumped Switflet) and Ridgetop Swiftlet Collocalia isonota. We had seen these birds before, but had never been able to positively identify them. So, they did not turn up in our list until the trip to Mt. Kitanglad led by Tim Fisher. We have been trying to photograph these birds but they are so fast, some say they can reach 150kph. Despite the fact that they are quite common it is uncommon to see pictures because they are usually just a blur. Its like trying to photograph something the size of a hotdog, moving erratically at 150kph, phew. Expect some improvements and updates here as we take more photos.